It is a fact that oranges are America’s favorite fruit. According to the citrus industry, 429 million gallons of orange juice were consumed by Americans in 2017. 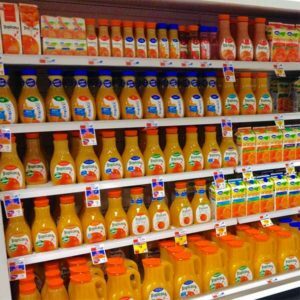 Health experts no longer believe that orange juice is particularly good for you, mostly because it is full of sugar. 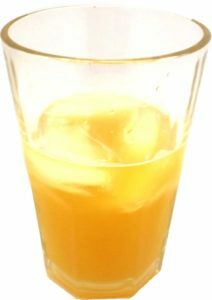 Orange juice can however, make a delicious, healthy, orange flavored kombucha and it is a very popular flavor. Kombucha makes all the vitamin C and other minerals that orange juice does possess more bioavailable—not to mention more delicious. There are many types of oranges, of course. Which orange you choose to make your kombucha from, will greatly affect the final flavor, whether you use whole oranges or juice. Here are some common varieties that you may find at your grocery store or fruit stand. We believe that, whatever the variety, fresh oranges make the best kombucha (organic is best). You can chop the orange fruit by hand, or with a blender or food processor. You should not use any of the peel or pith (the white part beneath the skin) as it will add bitterness. You can also juice the fresh oranges easily with a hand or electric juicer. Then, just add the fruit to your second fermentation (flavoring phase). The Orange Kombucha recipe is below. Before making your batch of orange flavored kombucha however, you want to first taste the orange. You want to use sweet fruit to compliment the tartness of the kombucha. Individual oranges don’t always have the same amount of ripeness and sweetness, so if you buy a bag of them, you may want to taste each orange you will be using to brew your kombucha. All the kombucha recipes below start with a freshly brewed batch of kombucha made from either black and green tea, or green tea only. The green tea only version will be a bit lighter in tea flavor. Either one will prove to be delicious. These are fermentation two (F2) recipes. This is the second fermentation that is done in the bottle for flavoring and carbonating the kombucha. If this is unclear, please see the Basic Kombucha Recipe here. Peel the orange and remove as much of the pith (the white part under the skin) as possible from the orange fruit. 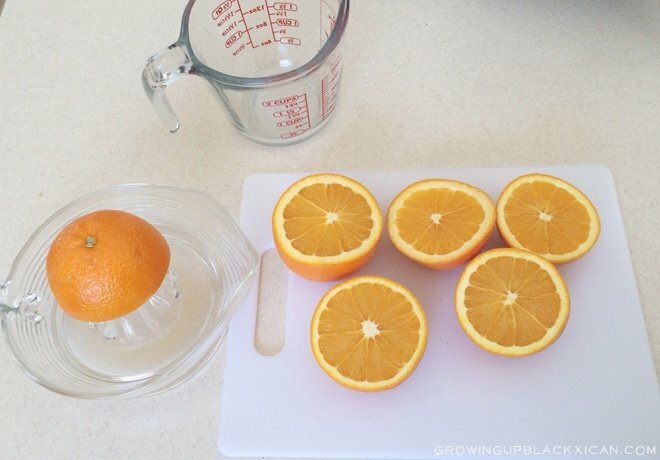 Chop the segments into small pieces, reserving any juice. Using a funnel, pour 2 tablespoons of the fruit and any juice into each bottle. Add brewed kombucha to within ½ inch of the top of the bottle. Let bottles ferment for two days and then check for carbonation by gently unscrewing the cap. Continue to burp bottles daily until carbonation reaches desired level. One of the advantages of making kombucha from oranges is that it goes very well with other flavorings. 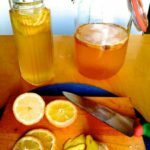 The following orange flavored kombucha recipes provide additional tasty kombucha variations. The addition of vanilla to orange kombucha adds warm flavors that may remind you of the Orange Julius drink available from fast food stands. Slice a whole vanilla bean into four segments. Slice each segment of the vanilla bean down the middle the long way so that the tiny seeds inside can flavor the brew. Drop one ¼ vanilla bean into each bottle. Using a funnel, pour 2 tablespoons of the orange fruit and any juice into each bottle. Let bottles ferment for two days at room temperature and then check for carbonation by gently unscrewing the cap. Note: You can also add 1 teaspoon of honey for a smoother flavor and more fizz. Do not use raw honey which has it’s own complement of bacteria and could interfere with the kombucha fermentation. Mint and orange go very well together as fans of Lifesavers Orange Mints, Tic-Tac Orange Mints or Mentos Orange Mints candies will attest. 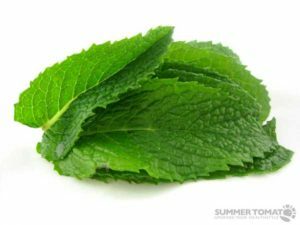 Remove the mint leaves from their stems and chop the leaves finely. Add 1 teaspoon chopped mint to each bottle. 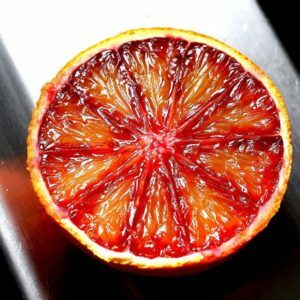 Blood oranges, originally from Italy, are naturally sweet and their lovely red wine color makes a beautifully appetizing kombucha. Peel the Blood Orange and remove as much of the pith (the white part under the skin) as possible from the orange fruit. 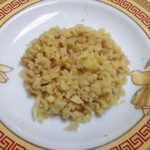 For an interesting variation, add 1 tablespoon of chopped or grated ginger to each bottle. Ginger adds a spicy taste to the sweet blood orange flavor and a bit of heat. It also is great for adding additional fizz to the kombucha. Of course you can make orange juice kombucha from orange juice that you buy in the grocery and likely have right now in your refrigerator. But again, we recommend fresh squeezed organic juice if possible. In any case, sweet, flavorful juice without pulp will make the best orange kombucha. Why make mediocre orange kombucha with flavorless store-bought juice? Using a funnel, pour 2 tablespoons of the orange juice into each bottle. You can make any of the Orange Kombucha recipes above with orange juice instead of fresh oranges. This recipe has information on the health benefits of oranges as well as some tips for using oranges in kombucha and other recipes. The author states that you may find kombucha made from fresh oranges to be too sweet. That has never been our experience however. Kombucha flavoring can range from spicy to calming. 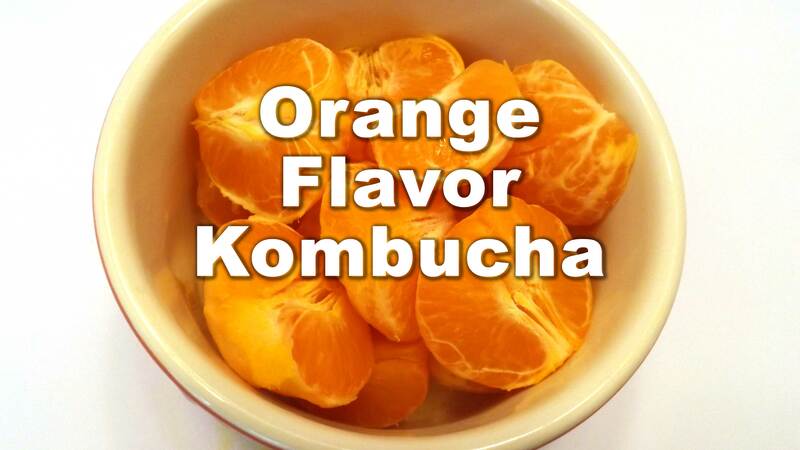 If you favor the taste of orange, you will love this recipe for orange flavored kombucha. This will be the perfect drink for morning, afternoon, or night. It’s not going to be too strong or too sour; it’s a unique balance of orange and sweetness. Adding spices to orange kombucha delivers an aromatic drink, a bit like spiced cider. This recipe suggests cinnamon, cloves and anise. The author suggest creating the second fermentation in quart jars, before bottling, but we like to put the spices right in the bottles we will drink from. Another winner! My favorite part about kombucha is coming up different flavor combinations. This one is so good, I’ve been hoarding orange peels so I can make more. I don’t recommend using the whole orange peel but rather just the zest. The white pith can leave a bitter taste. If you don’t care for star anise, it can be left out and still taste wonderful. I’ve had it both ways but the one with star anise is really good. 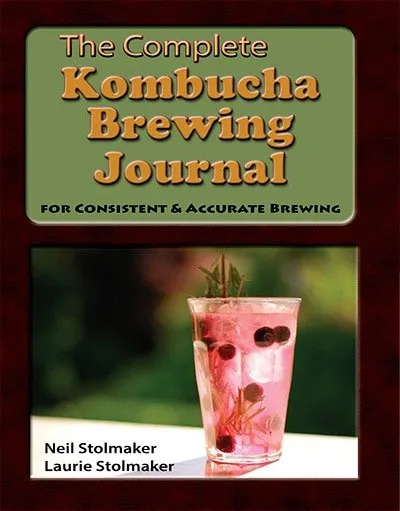 This recipe adopted from the book by Andrew Schloss is more of a brief introduction to kombucha brewing than a recipe. In the end, you are directed to add 1/2 cup of orange juice to the brewed kombucha to make the orange kombucha. 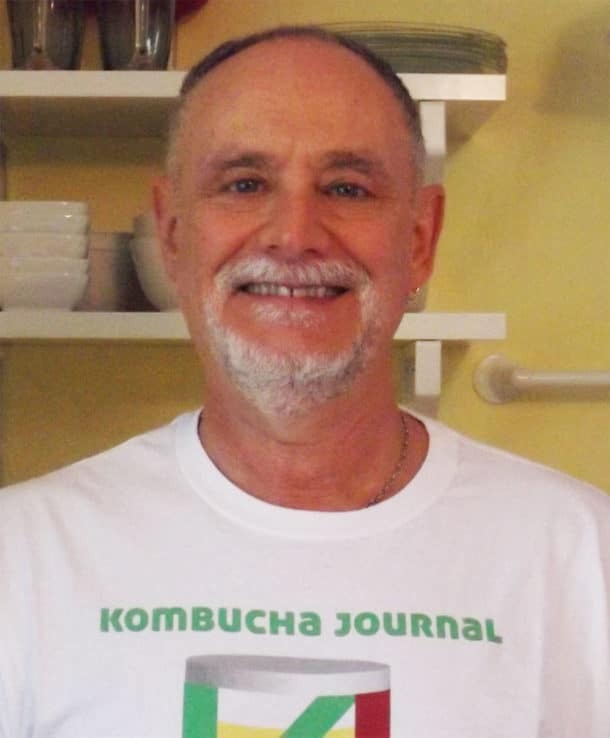 I have to admit I was a bit taken aback when I came across kombucha recipes in Andrew Schloss’s Homemade Soda since I’d always thought of this fermented tea as more of a health tonic than an easy drinking soda. But when you think about it, kombucha does fall into the flavored carbonated beverage category, regardless of how good for you if might be. Since kombucha has been on my try-it-out-at-home list for quite a while, giving one of Schloss’s fermented tea recipes a whirl seemed like the perfect excuse to delve into the world of kombucha mothers and babies. Have you brewed orange flavor kombucha yet? Please leave a comment.